Chiefs in Victoria Falls have joined the crusade to end child marriages by introducing programmes and customary laws which discourages the scourge of teenage marriages. Zimbabwe joined the African Union (AU) campaign to end child marriages in mid -2015. Since the inception of the campaign, several stakeholders, among them womenâ€™s rights coalitions, child rights organisations with the support of UNICEF, UNWOMEN and UNFPA have been working on a National Action Plan to End Child Marriages. All the five traditional chiefs in areas surrounding the resort town say as part of the campaign, they have banned all child headed families in their areas of jurisdictions. â€œWe have agreed that child families should not be allowed. If we discover a homestead being headed by a child, we immediately intervene by locating the childrenâ€™s parents or other relatives in the event that the parents are dead. In cases where the parents or guardians deliberately leaves their children unsecure, we impose a fine â€œsaid Chief Shana of Jambezi area. Chief Shana said in extreme cases where parents or guardians cannot be located, chiefs, in conjunction with headmen, have set up committees which look after all vulnerable and orphaned children in their respective areas. â€œWe have set up Zunde ramambo (chief-led communal granary) committees which assist vulnerable and child headed families with food. Next year, if resources permit, we are also planning to construct safe house centres which cater for all the five chiefs in Victoria Falls. The centre will be a sanctuary for abused and vulnerable girls â€œadded the chief in an interview with The Zimbabwean. Chief Mvuthu of Sizinda area concurred with Chief Shana, citing poverty, drought, poor parenting skills and child headed families as the main drivers of teenage pregnancies and marriages in the province. â€œAs chiefs we are working very closely with other stakeholders such as the police and children organizations in monitoring incidences of child abuse and marriages. Every month our aides do sporadic visits in villages doing awareness campaigns on the dangers of early pregnancies and early marriages â€œsaid Chief Mvuthu. 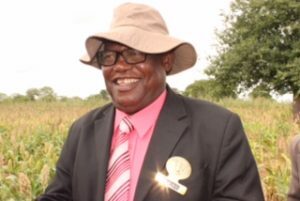 Another traditional leader in the area, Chief Nekatambe said he has banned the cultural practice where some families are in the habit of offering young girls to older men as an appeasement to avenging spirits. â€œWhenever such cases are brought to us, we immediately refer them to the police. Our traditional courts have no mandate to preside over such cases. This barbaric behaviour has got no place in a modern society â€œsaid chief Nekatambe. Chief Nekatambe said he has also made it a point that at every meeting he addresses, he always preaches the gospel of anti-child marriages and abuse against girls. The initiative by the five chiefs in Hwange are a welcome move, considering that traditional leaders in the country have been accused of abetting child marriages by presiding over cultural cases involving such marriages.